Tree nuts, nut butters, chocolate, and eggs are all foods one of Principal Zarina Ahmad’s students can’t eat. 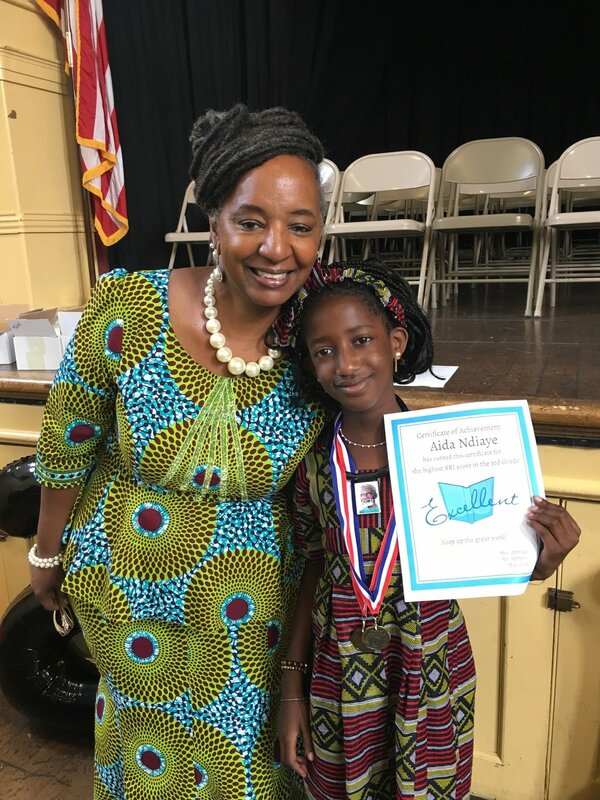 Aida Ndiaye is a student at Piedmont Avenue Elementary School where Ahmad is principal, and her exposure to these foods can be life threatening. Despite the serious consequences of her food allergies Aida has not let them get in way of learning and excelling. At Ahmad’s school, Aida is a high-achiever. She is a top reader in her grade and is reading far above her grade level. Aida’s success in reading can be attributed to early reading and her love for going to the library. Aida began reading before kindergarten and her family, which includes four siblings who are also high achieving students, regularly visits and volunteers at the Piedmont Avenue Branch of the Oakland Public Library. Reading isn’t the only subject Aida does well in, she also won the school science fair and is an incredible writer. Her writing is what led her to win the Young Author’s contest and be featured at Children’s Fairyland’s “Turn the Page,” a kid author event. The award-winning book Aida authored is called “Allergies,” which is about her food allergies to nuts, nut butter, chocolate, and eggs. It was inspired by a conversation with a children’s librarian. Ahmad couldn’t be more proud of Aida and she has learned a lot from her book. “As Aida's principal, I have learned so much from her and her mother about food allergies. I learned even more after I read her book,” said Ahmad.